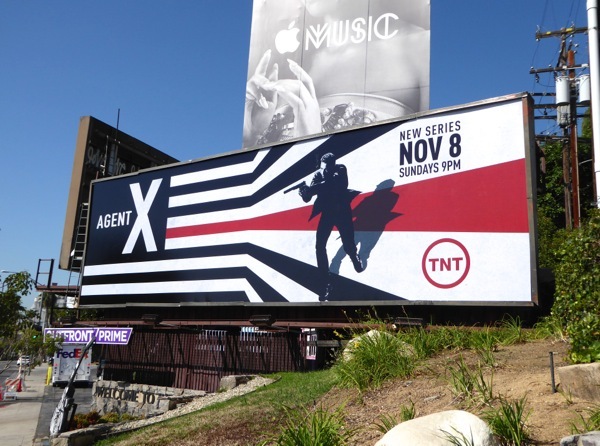 With a certain British spy back on the big screen this weekend in the U.S., TNT picked a great weekend to launch their new Agent X series, this one protecting America's shores. 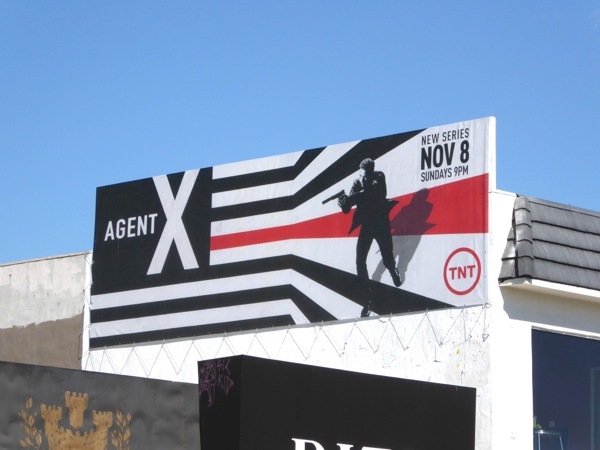 The handsome Jeff Hephner stars as 'John Case', an off-the-radar operative commanded by Sharon Stone's Vice President and tasked with covert missions that even the FBI and CIA don't know about. 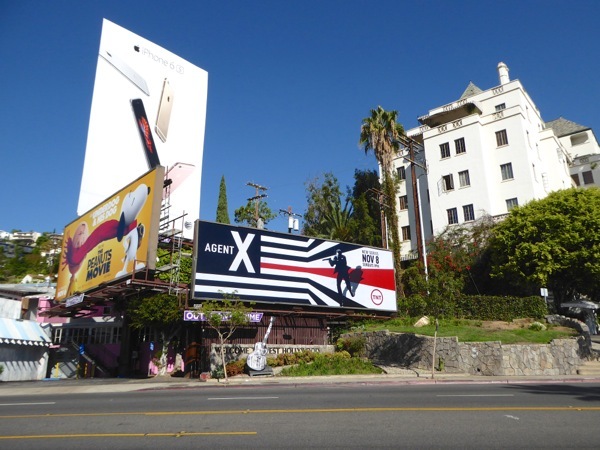 It sounds like an interesting premise and these dramatic and dynamic ad creatives certainly catch your eye with their patriotic design. 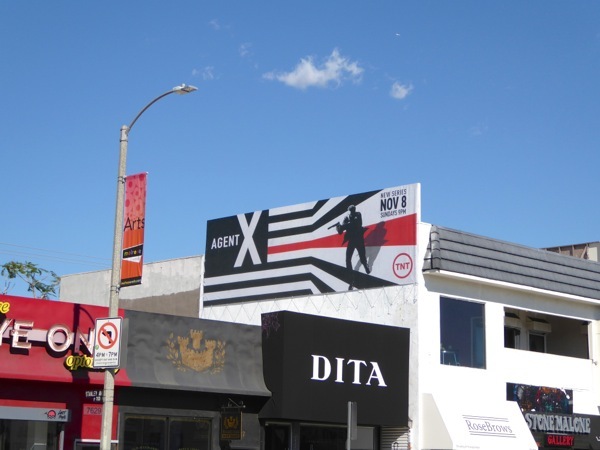 The landscape billboard for Agent X was first spied along the Sunset Strip besides the Chateau Marmont Hotel on September 24, then later snapped above Melrose Avenue on October 29. 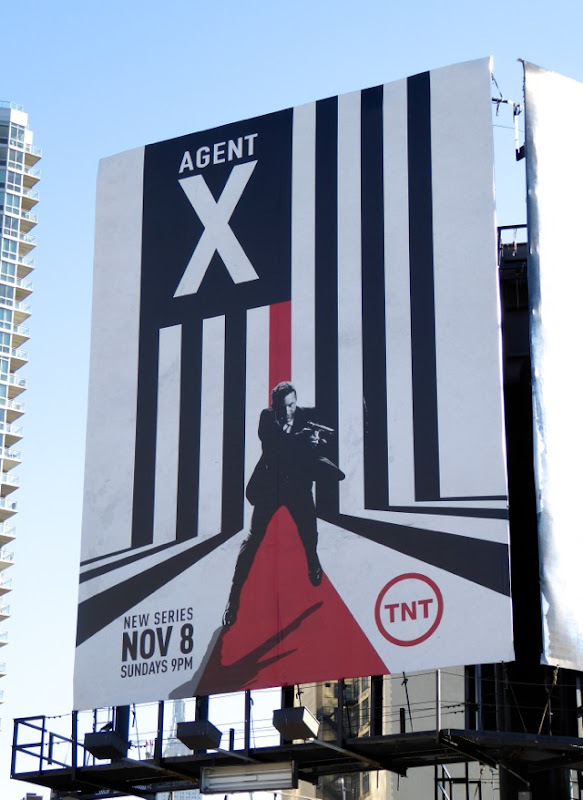 Meanwhile the portrait ad version was photographed in New York City opposite the Javits Convention Center on November 3, 2015. 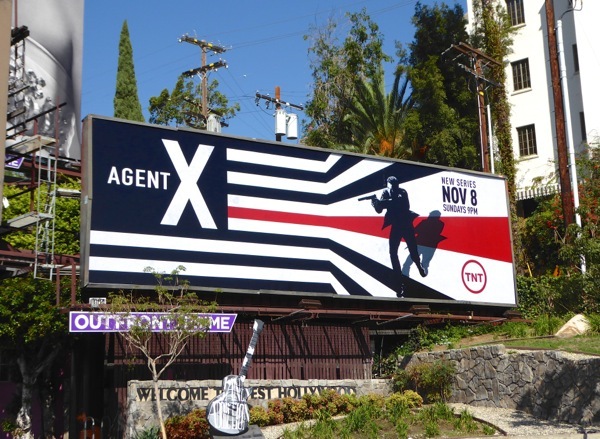 Let's see if Agent X can bring something fresh and original to the world of international espionage and doesn't simply get lost in the shadow of 007.